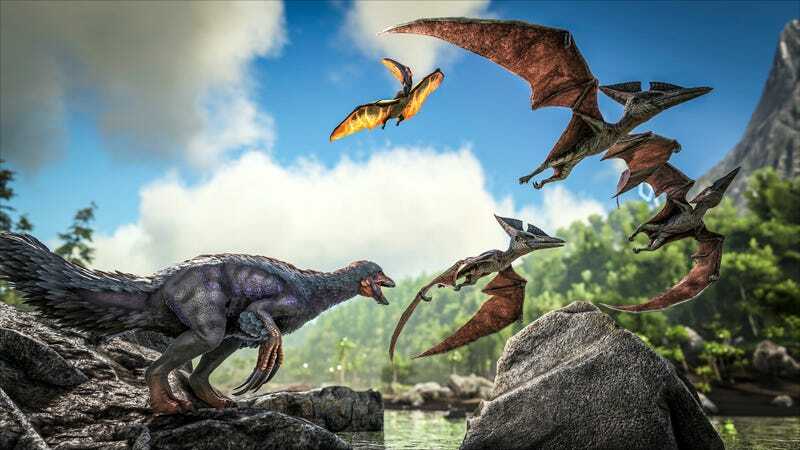 In anticipation of the game’s retail release, Ark: Survival Evolved developer Wildcard has increased the price of its popular dinosaur survival game on Steam from $29.99 to $59.99. This makes sense considering it’ll be officially available 0n August 8 as a full retail game. So far, it’s just been in Early Access. Posting on Twitter, Wildcard explained that yesterday’s Steam price increase had been made in order to “to ensure retail parity for the upcoming launch.” That launch, scheduled for August 8 on PC, PS4 and Xbox One, will see the final retail version of Ark’s base game priced at $59.99 across all formats, and its desert-themed expansion, Scorched Earth, priced at $19.99. Although yesterday’s sizeable price increase on PC may have come as a surprise to some, Wildcard had in fact warned of the move in a news post on June 10. That announcement also telegraphed a price increase for the PS4 and Xbox One versions, which have been sporting their final, full-fat price tags since June 12. In other words, PC users got a momentary reprieve, but are now all caught up to reality. Predictably, the response from within the PC Ark community has been mixed, ranging pure apoplectic outrage to intense sycophancy, leading me to once again suspect that Wildcard is sleeping with one half of its fanbase and has murdered the other half’s pets. “Classic Ark,” as one poster put it.